I am never a morning person. Like even though I were to wake up at 0700AM in the morning, I'm always half-dead by noon. One of the reasons (or rants) that I can never wake up on time for Mac's pancakes. I haven't been able to successfully eat it for 2 years now but I can still remember the taste and smell of it. But to go with this disappointment 'cos right now I can do it on my own in the kitchen, at ANY TIME OF THE DAY! 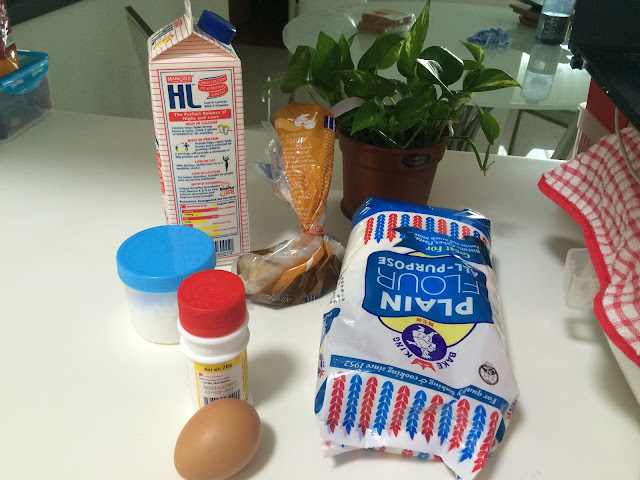 I went to search online for a easy recipe of pancakes and you know lah, some might be bogus and will not turn out to be what the picture looks like so I read the reviews to find out about the success rate. 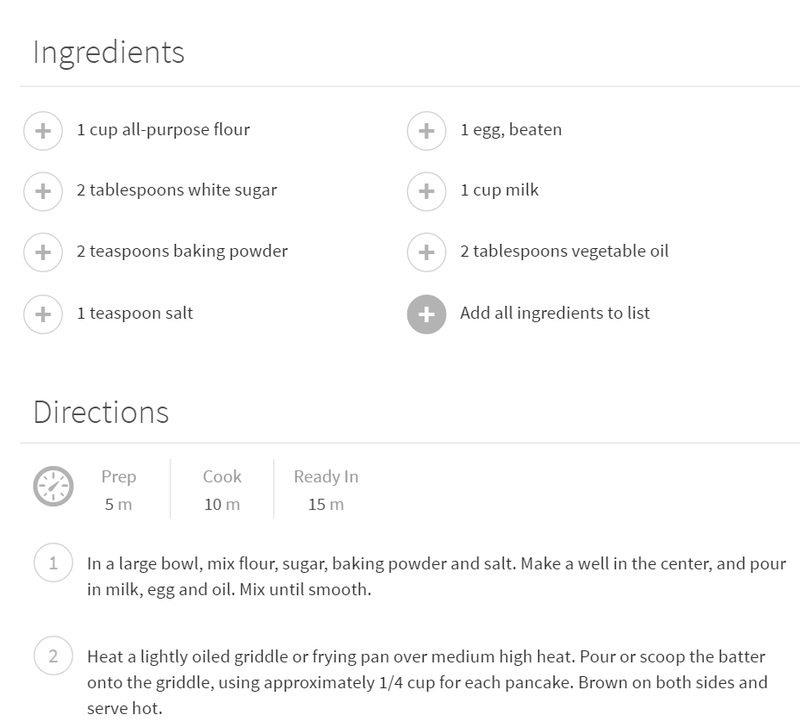 allrecipes was the one that caught my eye and I don't why so because of this reason, I sense higher chances of succeeding in making a pancake, without having to practice and experiment it. 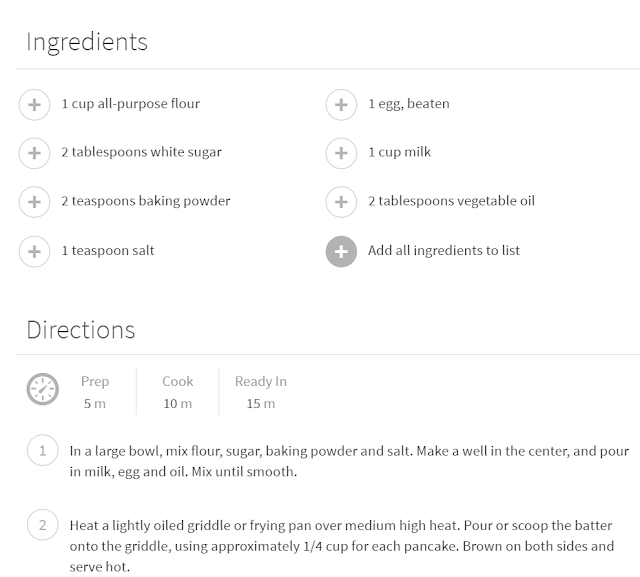 Honestly, I hate failing after following a recipe I found on the website. Just follow the steps, it is super easy. 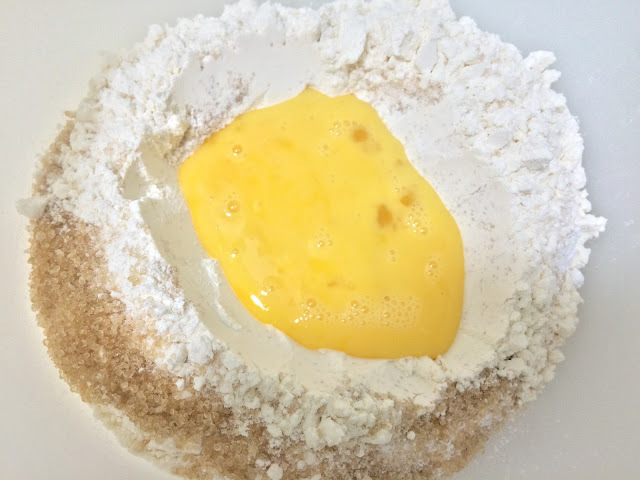 I made some amendments to the ingredient list and did away with vegetable oil and changed white sugar to brown sugar for a healthier version. 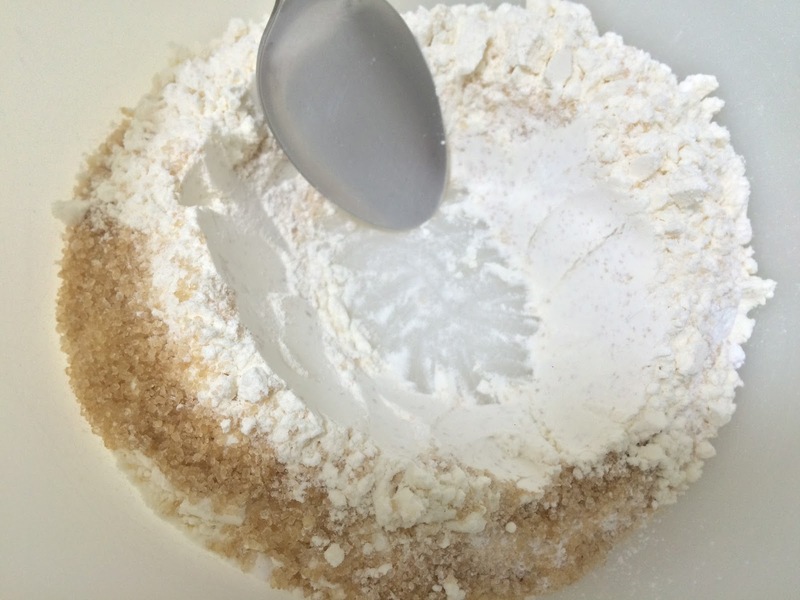 If you are wondering about the brown sugar, it is actually granulated and raw by SIS. Salt is in the blue container and eggs are normal chicken eggs. Erm, without the plant, of course. 1) Be sure to open up the well big enough to fit in the beaten egg and milk. Do not let it overflow out of the well because it will cause the batter to be lumpy. 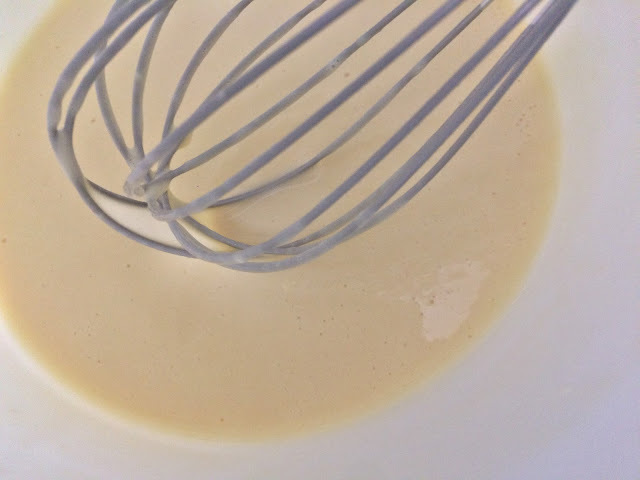 So after mixing, the batter's consistency should be smooth and non-lumpy. This step affects how pretty your pancake will turn out to be. 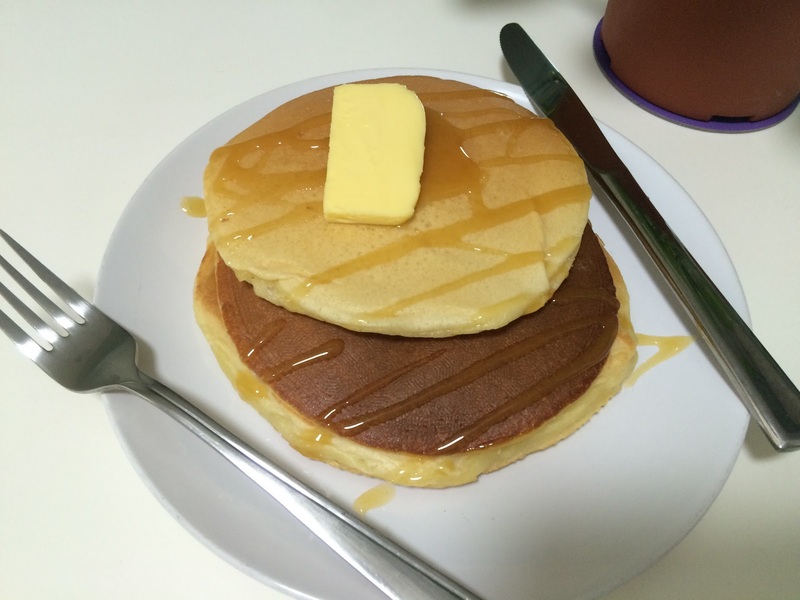 You can estimate the size of the circle you'd like your pancake to be. 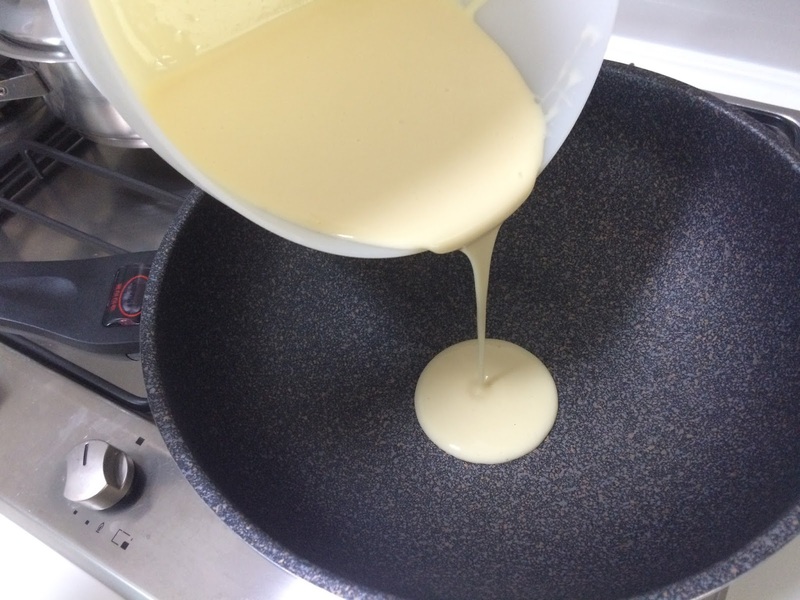 It will flow out for a moment when it is poured into the pan so be sure to not pour too much. Cooking time takes about 5-10min, depending on the size and thickness of the amount you poured in. Large sizes take very slow to cook. 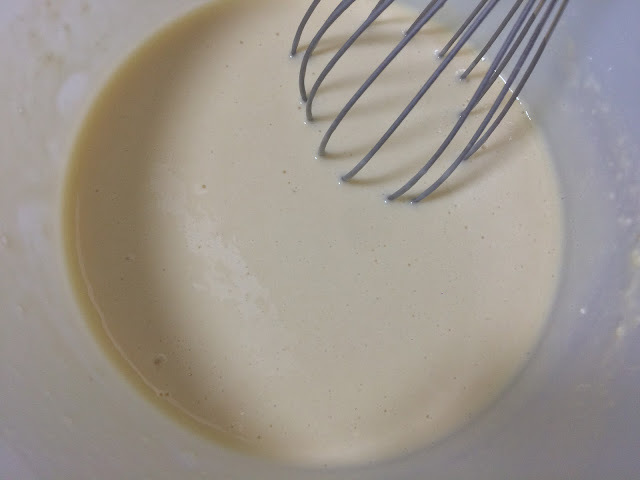 The amount of batter is able to make 4-5 slices of pancakes. So now I can have pancakes everyday, and at anytime of the day!!!!! Though not an expert but feel free to ask if there are any questions about it! Happy to help those who have the same feeling as me! Who doesn't love pancakes?